In a special address to the parliament, finance and planning minister, Mr. Philip Mpango said that the inflation rate in 2018 would be curtailed within single digit levels. 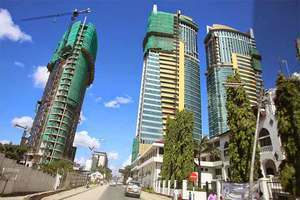 Tanzania’s inflation stood at 3.8 percent year-on-year in April, slightly down from 3.9 percent a month earlier. President John Magufuli’s government has pledged to increase public investment in infrastructure projects, including a standard gauge railway, new roads, power plants and expansion of port facilities. The overall budget is expected to rise to 32.5 trillion shillings ($14.29 billion) in the 2018/19 fiscal year, a 2.4 percent increase from the previous year, Mpango said. The private sector is expected to contribute 60 percent of the funds for the Agricultural Sector Development Programme Phase II, with the balance coming from the government and development partners.